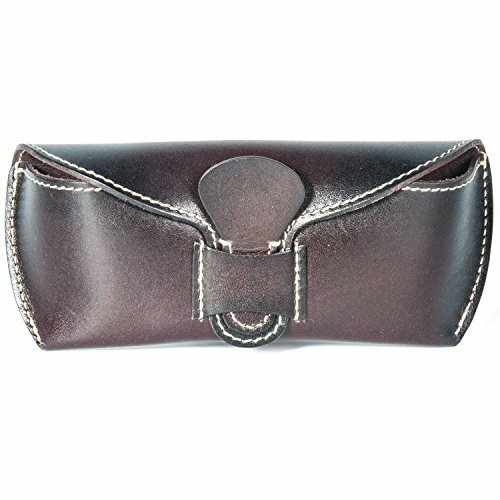 100% Genuine Leather Eyewear Case. The material is very thick, durable and smooth hand touch; with perfect thick stitches and exquisite handmade quality. Size Of Sunglasses Holder. Length: 7in/17.8cm; Height: 3.1 in/8cm; Width:1.2 in/3cm.Can be attached to a belt and was designed more for outdoors. Lightweight and Durable. The case holder will last for a long time and will be better as time goes by. Minimalist style, beautifully designed,sturdy, protecting your glasses in any situations. This eyeglasses holder is durable and stylish. Classical, elegant and vintage style, best gift for man and women. If for any reason you're not 100% SATISFIED, let us know and our customer service team will make things right: full refund or a free replacement, whichever you prefer. If you have any questions about this product by DanceHand, contact us by completing and submitting the form below. If you are looking for a specif part number, please include it with your message.